Take a sharp-left without bending or damaging your HDMI leads! The best quality HDMI cables are invariably heavy-duty in their construction, which can lead to making compromises when installing home theatre systesms - and especially when wall mounting TVs. Luckily, you can have you cake and eat it, too. Cable Chick now stocks a full range of right angle adapters to get your HDMI out of a tight spot. Use one for a quick 90 degree turn, or use two if you need to pull a tight 180! 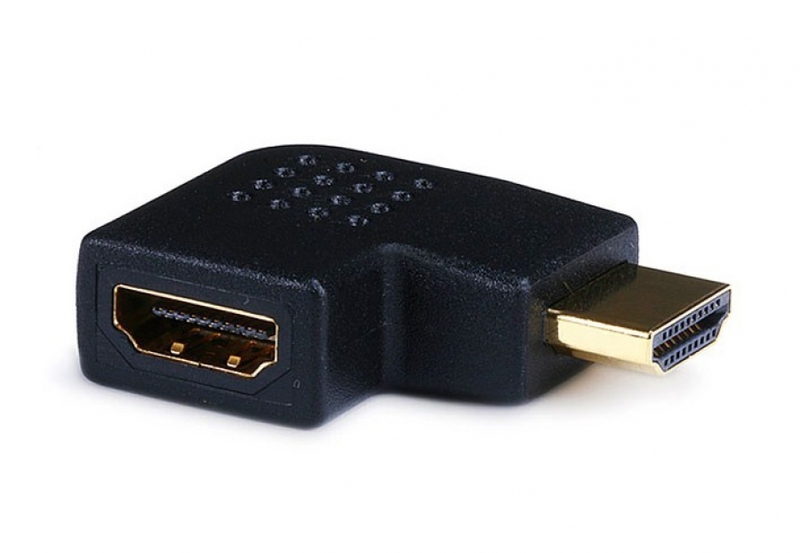 This right-angled HDMI Adapter lets you adapt any HDMI socket, so a HDMI cable can be connected from the Left side. Ideal for use where space is limited, like when wall mounting TVs. Compatible with ALL HDMI cables and versions. Designed for direct connection into sockets on hardware like TVs, media players, consoles and projectors, they each feature one male plug and one female socket. This adapter offers a 90-degree 'Left' turning, as HDMI sockets are always positioned with the narrower edge facing downward. Not all equipment is the same, so please double check this is the correct turning for your needs. Just wanted to say that the service you offered was fantastic. I recently had a TV wall mounted and needed a high definition cable quickly. I was shocked to see that it arrived so quickly. Very happy and will use again. Well done!